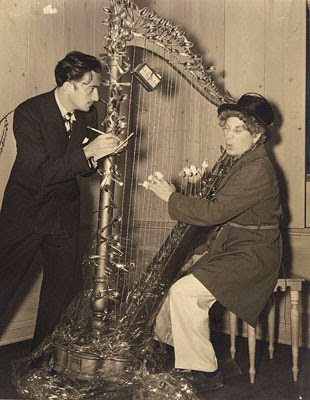 Earlier we had written a bit about Francis Quirk's friendship with Harpo Marx as the two of them often looked at art together. After a cursory look into it, we learned that there was more to Harpo than meets the eye. 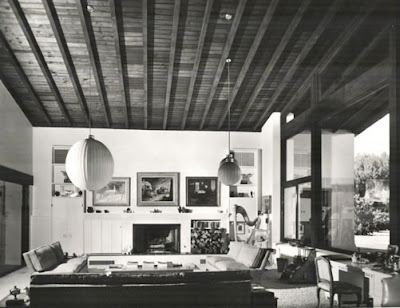 Besides being a surprisingly good harp player with recorded albums, he was quite an art collector. Harpo attended Thomas Hart Benson's 1946 show and was the first to buy a painting- Spring on the Missouri. He was visiting Chicago to perform and stopped in at the opening at the Associated American Artistis Gallery. 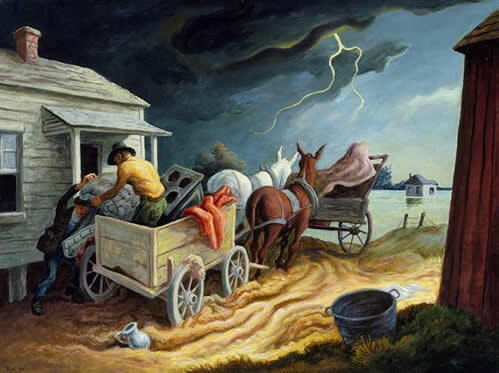 The painting was completed in 1945 and depicts a recent flood. This painting now hangs in the North Carolina Museum of Art. 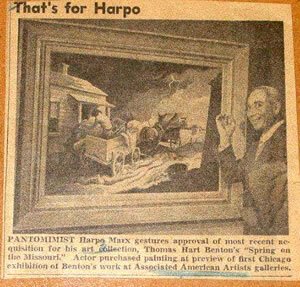 Newspaper Clipping Showing Harpo Marx and Thomas Hart Benton's Painting "Spring on the Missouri"
Harpo also collected Salvador Dali who was a personal friend, George Grosz, Joseph Hirsch, LeRoy Nieman, Doris Lee, and John Decker. Joseph Hirsch spent time in Philadelphia, Provincetown and New York in periods that overlapped with Quirk so they may have known each other. 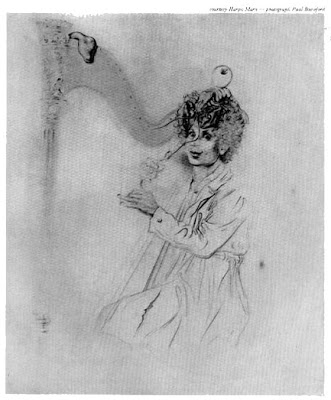 Below is a painting of Harpo by Salvador Dali. You can learn more of the back story by visiting the Philadelphia Museum of Art site. Or learn a bit about the Marx Brothers and the Surrealists by going here. We are reaching out to Harpo's estate to see if there was a Francis Quirk painting in his collection. Going beyond his collecting of American Paintings, Harpo would also paint. 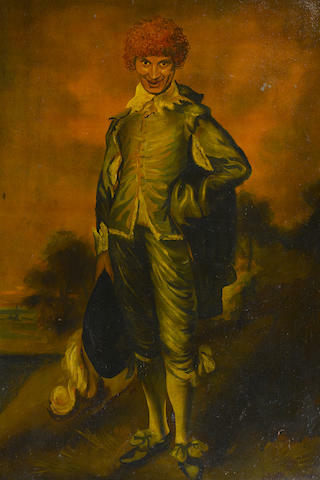 He sold his paintings to benefit various charities. To see his paintings you can visit Harpo's Place for more information on his paintings and his musical recordings.